Two almost equally rated teams of the NatWest t20 Blast, 2014, Nottinghamshire and Hampshire who have attained second and third position in the event, will face each other for the next step. Both teams played 14 matches Nottinghamshire was placed in North Division and Hampshire in the South Division. The first has won 9 games, lost 3 and earned 20 points while Hampshire grabbed 18 points with 9 wins and 5 missing. 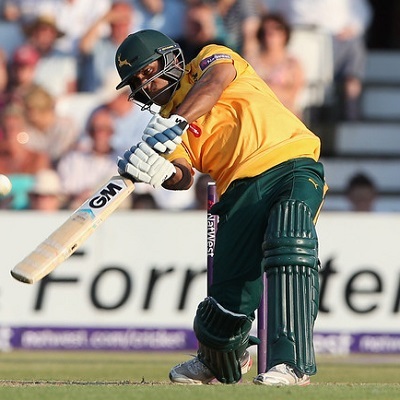 Riki Wessels is the highest scorer for Nottinghamshire with 408 comprising three half centuries and Samit Patel has posted 326 runs with 14 wickets in his pocket. Alex Hales and James Taylor are rich with runs whereas Harry Gurney, Ajmal Shahzad and Luke Fletcher are bowling according to the situation. Michael Carberry, Jimmy Adams along with the skipper, James Vince have accumulated more than 300 runs in the tournament while Sean Ervine is a useful middle order batsman. Danny Briggs is their supreme bowler with 21 wickets, Will Smith and Chris Wood are doing well with quite a few scalps. Sunday August 3, 2014 @ 13.30 GMT, 14.30 local at Trent Bridge, Nottingham. An ideal weather for the game with the temperatures around 12-24ᵒC. A nice dry surface which will be good for batting but the accurate bowlers can create problems. Nottinghamshire – James Taylor (C), Steven Mullaney, Alex Hales, Riki Wessels, Samit Patel, James Franklin, Chris Read, Sam Wood, Ajmal Shahzad, Luke Fletcher, Harry Gurney. Hampshire – James Vince (C), Michael Carberry, Glenn Maxwell, Jimmy Adams, Matt Coles, Will Smith, Sean Ervine, Adam Wheater, Liam Dawson, Chris Wood, Danny Briggs. Nottinghamshire is a confident side and will step towards the Semi-Final.